A few years ago, Pepperdine University law professor Tom Stipanowich, our family friend, wrote a poem to his family’s Christmas bird. He heard they were having turducken at his sister-in-law’s house, and that was all the inspiration he needed. Waxing poetic about poultry? It simply doesn’t get any better than that! Behold, the best poultry poetry you will ever read. What’s the cube of Chick Fil-A? Views normal birds with sheer conceit? It’s an avian conjugation that has mesmerized the nation. We’re now forcing altogether birds of more than just one feather! An unparalleled conjunction in all birdie bio-graphy! There emerged the rarest archetype in all of Earth’s creations. For its repertoire of sounds. You can hear a song composed of alternating clucks and gobbles! If it’s threatened from astern its derriere begins to quack! A girth that’s naturally triple-wide. How’d you like to try to gallop with a double-bird colonic? When you’re holding in two other birds, it’s a triumph just to waddle! 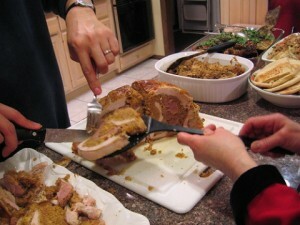 Stick a turkey in its bladder! Stuff in several yards of duck! As it happens, most report that there’s an element of pleasure! Is when too much bird compaction leads to some regurgitation. 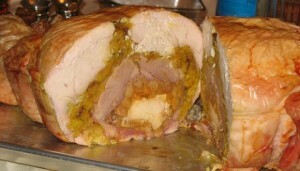 It will disgorge, in just awhile, a fine tur-duck pate! Aahh . 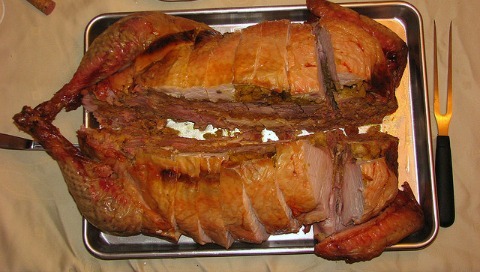 . . TURDUCKEN! ©Thomas J. Stipanowich. 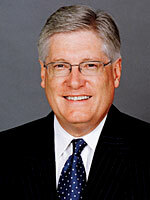 Thomas J. Stipanowich is Academic Director, Straus Institute for Dispute Resolution, William H. Webster Chair in Dispute Resolution, and Professor of Law at Pepperdine University School of Law. 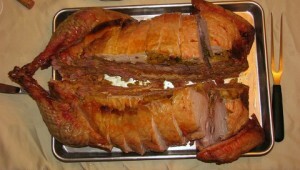 Want to make your own Turducken? I might ask why (most people seem to buy them), but hey, who am I to judge? J. Kenji Lopez-Alt over at Serious Eats  walks you through the arduous process, and emerges victorious! What to serve with Turducken?